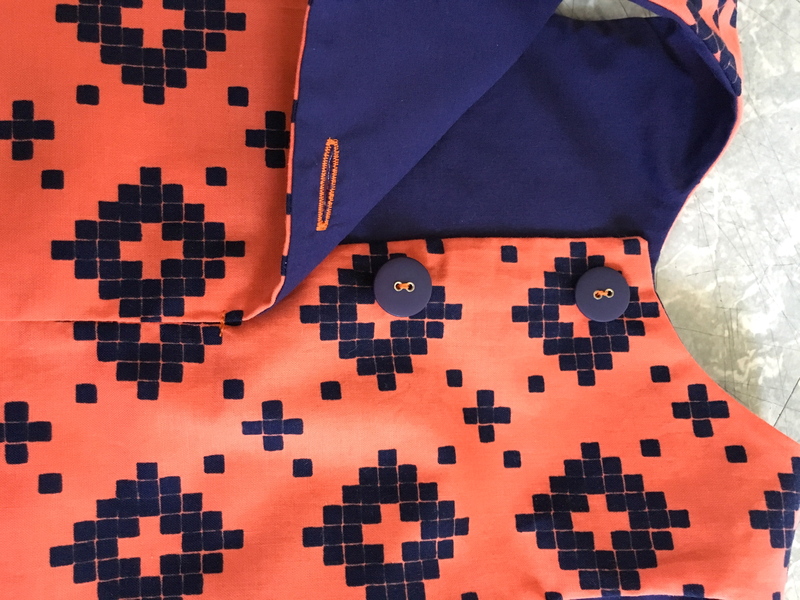 I already posted about my friend Thouraya’s awesome pattern the Clementine dress a few weeks ago. I wanted to show you a few of my end results! And I thought I’d mention a couple of things about this pattern I noticed as a total novice. First, I loved making it! I’m not great at making garments, so I thought this pattern looked fairly simple to sew. Simple in a good way! It was so fun and fast to make, I promptly made a second a day later. 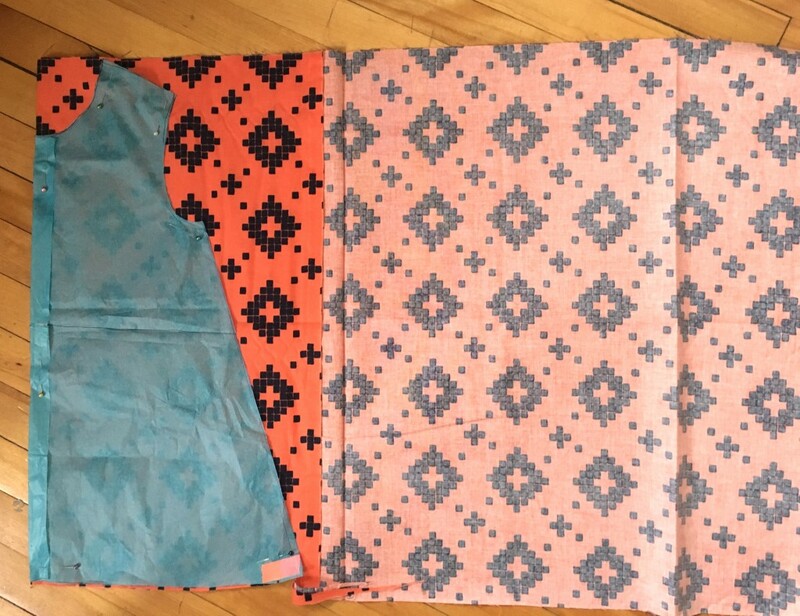 Second, I made two size 2′s, and something awesome about that size and lower is that you can cut out a whole dress from a generous half yard cut, (19inches) or easily into half a meter. This is PERFECT for me, as a quilter I often buy half yard cuts of fabric, so I have LOTS on hand, all of it super cute, I want to make a million little girl dresses. Third, while Thouraya’s pattern does mention the best fabrics to use, I used quilting cotton. It might not be the ideal fabric to use, but I quite like the heavy drape (and it’s pretty much all I own). Only thing that I changed while making my second dress, was to definitely use a light fabric for the lining, otherwise you’re getting some bulky seams if you layer two lots of quilting cotton as dress and lining. That being said, I think it wouldn’t be awful to wear either way. Fourth, I sewed the back seam halfway up, then did two buttons at the top. I’m not sure this was a good idea, but I didn’t have enough buttons so I figured with the nice flared fit of the dress, it should fit over a little head with just a couple buttons. I like the way it looks too, because the buttons are on the lined part of the dress and the rest is neatly seamed away. 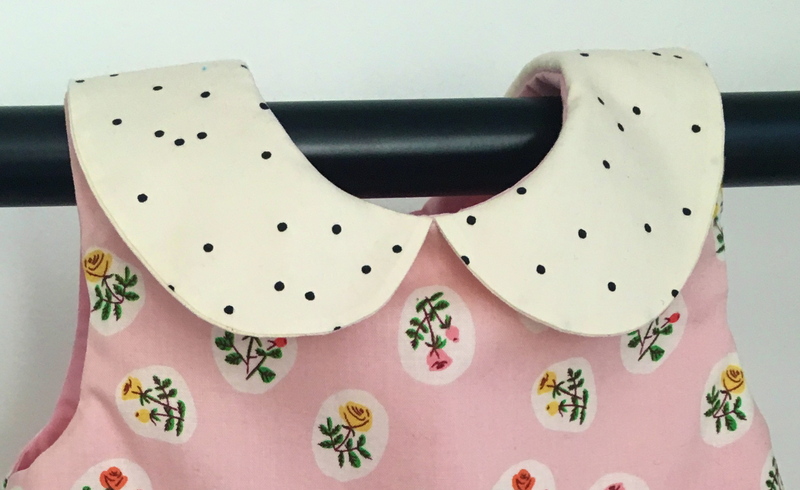 I really enjoyed making the collar, I trimmed mine really close to the seam as opposed to clipping it on the inside, mostly because I wanted it super round, but we’ll see how it holds up! The second dress was made without a collar, just as a test to see how quick I could whip one up! I’d say if you’ve never sewn before, use Thouraya’s instructions and not mine though!! 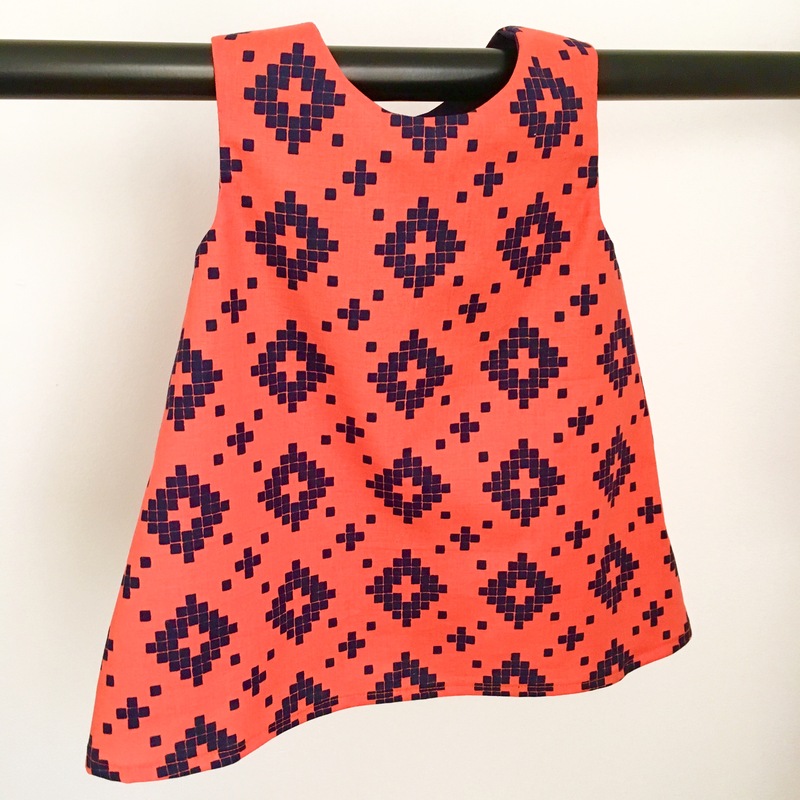 If you have littlies who like to wear dresses, do try this pattern. 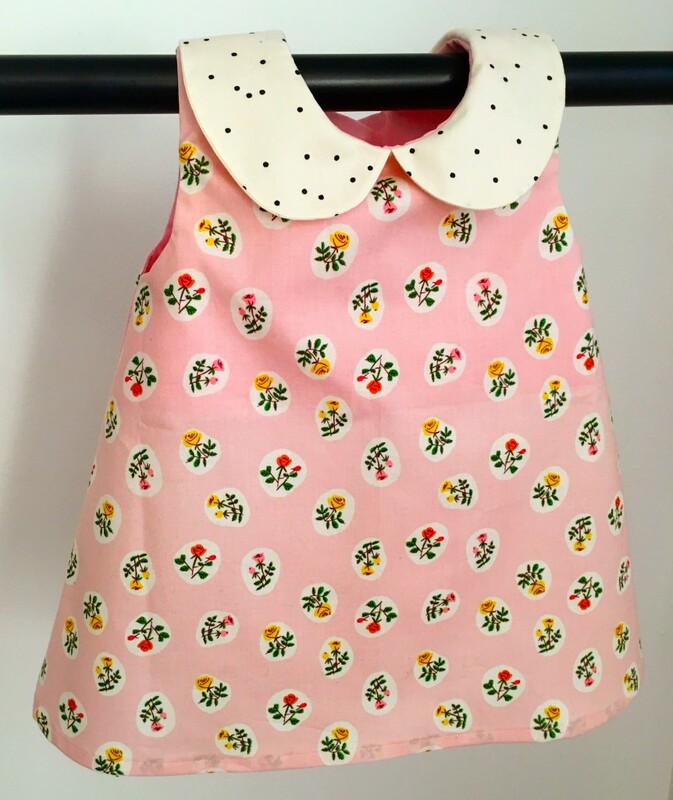 It’s so satisfying and cute, and comes in a big range of sizes from newborn to size 10. I’m sure you’ll enjoy making some too. Arghhhhh so cute!!!! I’m definitely checking it out. L will look divine in them. I think quilting cotton is great for dresses such as these. It wears so well that it looks fresher for longer.